Otto Kellar and his wife Alma work as caretaker and housekeeper at a Catholic church in Quebec. While robbing a house where he sometimes works as a gardener, Otto is caught and kills the owner. Racked with guilt he heads back to the church where Father Michael Logan is working late. Otto confesses his crime, but when the police begin to suspect Father Logan he cannot reveal what he has been told in the confession. Every suspense film needs a twist, something to make the movie…well, suspenseful. 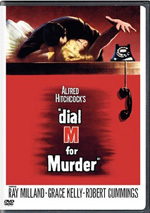 Usually, the twist shows up about a third of the way through the film: the dead body in Dial M for Murder, the British traitor in Foreign Correspondent, or Mrs. Iselin’s role in The Manchurian Candidate are a few recently reviewed examples of the standard timing. I Confess boldly flouts this suspense film convention as it places its twist at the beginning of the story. We start the film by following the camera through the dark and craggy cobblestone streets of Quebec, until the camera leers through a window to reveal a corpse lying dead in a study. From the murder scene emerges a priest, or at least a man in priestly vestments, in a hurry to put some distance between himself and the body. He scurries back to the rectory of one of the local Catholic churches, which is where he works. All of these disturbances raise the interest of Father Michael Logan (Montgomery Clift). He goes down to the church and finds the handyman, Otto Keller (O.E. Hasse), disconsolate in one of the pews, praying. Apparently, Keller is a Nazi refugee who had nowhere else to turn when he arrived in Quebec, and the church gave him and his wife Alma a place to stay and to work. Keller’s anxiety leads him to make a confession to Father Logan: Keller killed the widely reviled Monsieur Villette in his home earlier that night. The Catholic Seal of Confession means that no matter the circumstance, Logan cannot divulge this information to any living human being, or he would be defrocked. What Logan doesn’t know, the audience already does: Keller was dressed as a priest when two little girls saw him rushing from Villette’s house. Thanks to the confession, Keller’s soul is clean of the crime, but Logan is now framed for the murder and cannot defend himself. The local constabulary comes calling to investigate the crime, led by Inspector Larrue (Karl Malden). Larrue notices a beautiful young woman through the window, approaching the flat only to be stopped short by Father Logan and sent away. He’s immediately suspicious; it turns out the woman is Ruth Grandfort (Anne Baxter), the wife of a powerful politician, and she’s in love with Father Logan. She tries to tell the truth, to supply Father Logan with the alibi that will clear his name, and inadvertently incriminates him. Father Logan has motive, he has opportunity, he has a very shaky alibi…and he’s also got the truth. For Father Logan, his holy obligations override even that, and he’s tried for the murder of Mr. Villette. How can he escape the hangman if he can’t speak to defend himself? Therein lies the suspense of I Confess: essentially, will Michael choose this life, or the next? Particularly for a Catholic like myself, it’s an effective and intriguing examination of the solemnity of a man’s vows to the cloth. Clift plays the conflict within to absolute perfection, trying to figure a way out of his situation without betraying his faith. Thanks to Hitchcock, himself a Catholic, and the technical advisor Fr. Paul LaColine, the film is very careful on how it handles the issue. Anything that might even be construed as an accusation from Father Logan, any stray glance or even the slightest inference toward Keller, would be considered breaking the seal. Keeping the character as steadfast as possible was the only way for the story to really be suspenseful. There’s plenty to like about I Confess. The film has some quality performances by its main characters, starting with Clift, whose biggest task is to play Logan with pride and conviction, not turning into a ‘woe is me’ character. He absolutely nails the role, with a combination of steely nerves and human fear. Karl Malden is fantastic as the dogged investigator relentlessly trying to bring a man to justice, and Anne Baxter is solid as Ruth, whose love can never be returned. The film also features some fantastic photography, using film noir techniques and the quaint locales of Quebec to underscore the torment within Logan. Just as a pure ‘picture,’ I Confess is close to technical brilliance. So why wouldn’t I enthusiastically recommend I Confess? While there aren’t a lot of things about the film to detract from it (save for the seemingly intentional corniness of the flashback), there really aren’t a lot of truly fantastic elements to really promote it, either. The movie sort of plods along at a rather leisurely pace, not slow, but far from breakneck. The result of the pacing and the film’s long second act make the finale seem almost too fast, like it was hastily trying to wrap up the film. What’s more, it doesn’t really make sense. It’s never sufficiently explained why Keller thought he would have to frame Logan, rather than just kill him without a witness and trying to get away with it. As a film, I Confess is worth watching if you happen to come across it on cable somewhere like TMC or AMC, but beyond that, it’s a very middle-of-the-pack type of movie. It’s neither great nor awful. I Confess appears in an aspect ratio of 1.33:1 on this single-sided, double-layered DVD; due to those dimensions, the image has not been enhanced for 16X9 televisions. In a welcome departure from the last two Hitchcock Signature Collection volumes that I reviewed - Foreign Correspondent and Suspicion) - I Confess looks pretty well preserved. The black and white detail is quite good for a film that’s more than five decades old, though it does falter in certain spots, specifically the scene that gives rise to Fr. Logan as a suspect. Where this disc really makes some strides - particularly over its box mates - is in the clarity of the picture. Movies like this always feature some level of grain, but for a low-profile, unrestored disc, I Confess is exceptionally clean. There are very few instances of artifact problems or print flaws, which means that this disc was struck from a pretty pristine print. Of the films I’ve reviewed in The Hitchcock Signature collection, this one has one of the best picture qualities. As with its brethren, I Confess has a pedestrian monaural track that suits its needs. 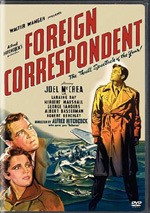 The film is a tightly focused narrative that deals a lot with the various characters’ introspection, so it’s far less talky than other Hitchcock movies. Without any directional effects, clarity is once again the main concern. For the most part, I Confess is relatively successful, with very few analogue imperfections to speak of. The only really notable problem is during scenes where the sound is supposed to be louder, for example when characters are yelling at each other, there’s a little it of a ‘fuzzing’ effect on track. Other than that, I Confess is a solid track without reaching into the remarkable range. I Confess is another volume in The Hitchcock Signature Collection, and it comes with that collection’s standard package, with one minor addition. There’s the unusually well-preserved theatrical trailer, running a lengthy 165 seconds, but there’s also a minute of newsreel footage from the dual Canadian premiere. We also have the collection’s standard-format featurette, Hitchcock’s Confession: A Look at I Confess, a 21-minute piece that once again contains guys like Richard Schickel, Peter Bogdanovich, and Robert Osbourne. The featurette details how the film was based on a play, the myriad problems that the film’s premise presented for censors, and what it was like to work with Montgomery Clift. This featurette has something different from the others in the series that I thought was pretty sweet: behind the scenes, handheld 8MM footage of the filming. As usual, the featurette is fun to watch and very informative. Be careful, because there’s a spoiler for Hitch’s Stage Fright buried in it, though. While Hitchcock was indisputably a master filmmaker, it’s certainly clear that even he had a second class – and even a third class - of films. I Confess is one of his movies that is fairly classified on that “B” tier. It’s a far cry from the Rear Windows and the Psychos of the world, and it’s just slightly beneath Dial M for Murder and Foreign Correspondent. Nonetheless, it’s better than crap like Suspicion and Marnie. The main character is interesting enough to warrant a viewing on his own, thanks to the introspective performance by Monty Clift, but the sort of lazy plot doesn’t really hold a whole lot of suspense; I’d recommend this one only as part of the Signature Collection, not as a separate purchase.